Talisman Shopping Centre will host the Kiddy Area of the event– which will feature a line-up of over 80 traders and run from 10am until 6pm on Sunday, July 22. More than 12,000 visitors are expected in the town over the course of the second annual event. The festival will see hot food traders, bars and live entertainment take over the town for the day and there will also be a selection of produce from local traders. The Kiddy Area will feature children’s rides, face painting, glitter tattoos, chocolate genie and a range of produce stalls. 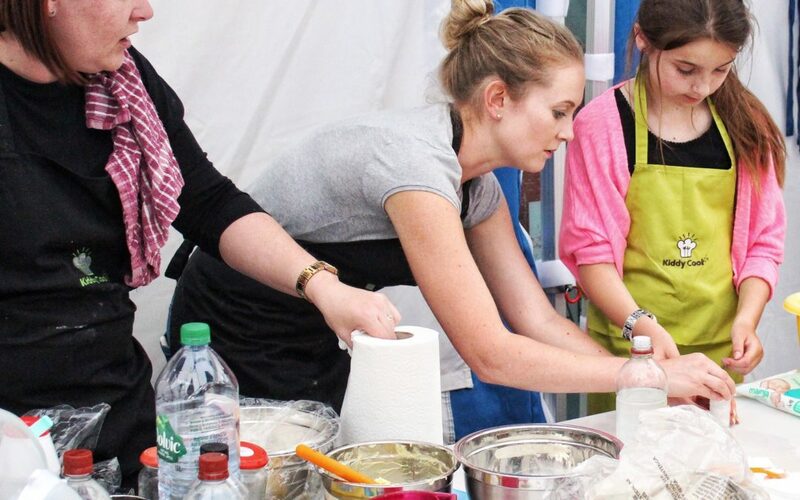 But, Kiddy Cook sessions, which are interactive cooking sessions to help young people take their first steps into the world of cooking, will be the highlight of the activities on offer. This year’s Kiddy Cook sessions will see the young chefs make a wrap and a dessert. Hugo Hawkings, chief executive of Talisman developers Discovery Properties, said: “We’re looking forward to welcoming the Kenilworth Food Festival to Talisman Shopping Centre on Sunday. Kenilworth food festival is organised by CJ’s Events Warwickshire and company director, Jamie John Walker, said: “Following last year’s successful Food Festival, we’re really pleased that we’ve been able to team up with Discovery Properties to utilise the shopping centre and car park to host part of the festival in Talisman Shopping Centre. Parking will be free on Sunday, July 22 in all Warwick District Council Car Parks.